We are proud to announce that we are able to match your donations on #GiveGOLD Day thanks to the generosity of longtime O'Dea champion, Roy F. Simperman. Thank you for helping us reach our goal of 300 gifts! 300 = a full match of $20,000! 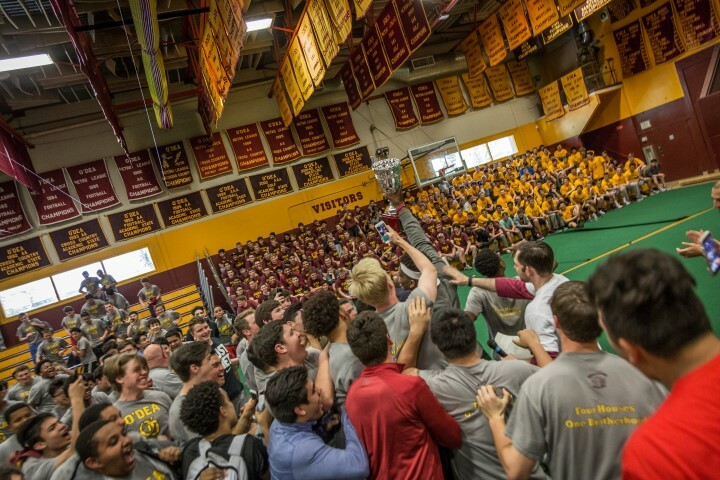 Thank you for supporting the young men of O'Dea High School! Share this with people you know and help us reach 300 donations! Advancement Director, Allie Thomas, at 206.923.7540. Your email will be used to send an acknowledgement of your gift. If your gift is made in memory or honor of someone, please indicate their name here. I have included O'Dea High School in my estate plans, making me a founding member of the O'Dea Legacy Society. Contact me with information on including O'Dea High School in my estate plans. Thank you for helping enrich the life of every O'Dea student! If your company matches donations please be sure to submit this gift to them with our tax id #91-0905301.